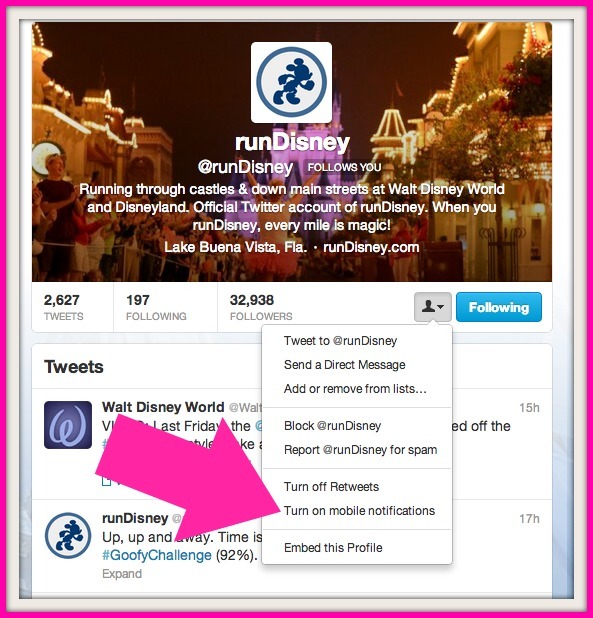 The Twitterverse exploded yesterday when runDisney tweeted that out yesterday! As we all know, in runDisney world, that means an announcement for a MeetUp is imminent. Although there is no absolute guarantee for getting into one of these highly coveted events – (see this compilation of recaps on this Google doc), there are a few steps that I’ve picked up along the way that I can share. Watch the Disney Parks Blog. In the past, posts have kinda/sorta followed a sort of schedule (here’s the post I wrote on that here). In general, east coast MeetUp posts are made in the first part of the day (10 AM -12:30 PM Eastern time) and west coast are made in the latter part of the day (2 – 3:30 PM) and they’re posted about a week prior to the event date. There definitely have been exceptions, however – they range from 4 days prior to 14 days. Prepare your email. There are two separate email addresses – one for Disneyland (DLR.Sportsmeetups@disney.com) events, and one for Walt Disney World (WDW.SportsMeetUps@disney.com) events. You can compose an email in the provider of your choice, and set it in draft mode. In subject line, I recommend the name of the event (i.e. “Disneyland Half Marathon MeetUp RSVP”) and in the body, a brief message (i.e. “Hi there, I’d love to be included in this event, thanks for the opportunity. Kind regards, Daisy Duck“). With these steps in place, you are primed for action: on blog post day, all you have to do is send off your drafted email…and wait to see if you made the cut! PLEASE NOTE that you will want to quickly scan the blog post once it is live, since procedures are subject to change at any time and you do not want to be disqualified for something silly. Also, send only ONE email! I’ve seen many people recommend using an ‘auto-refresh’ extension on their browser so they don’t have to manually reload their Disney Parks Blog page. I have not personally done this, but it’s an option. On that note, expect the blog to go down, especially after the tweets have indicated that the posting time is near. Be patient! As mentioned before…but bears repeating: this procedure is always subject to change – this next MeetUp might feature a whole new process! This guide is for entertainment purposes only. I am not affiliated with the Walt Disney Company, runDisney or any other related-property. I love this post. I am crossing my fingers that I’ll get into the Wine and Dine meet up!! Thanks, Karen – I am anxiously awaiting this next round of meetup info to go live because I suspect there MAY be changes! I will be sure to share what goes on! I have resigned myself to the fact that I will never get into one. And I tell myself I’m okay with that, but I’m so totally not. Why never? 😦 It looks like, based on recent tweets – that the process MAY be changing! Keep your eyes open! Pingback: Disneyland Half Marathon Weekend Meet-Up — I’M IN! This is really helpful information. Thank you so much! My pleasure! It’s my goal to have as many people experience these meetups as possible and I love sharing what I’ve learned.